Obituary – O’Loughlin, William Michael « Perry High School Alumni Association, Inc.
﻿Mixed Chorus ’63-’66, All School Revue ’63-’66, Golf ’63-’64, Christmas Vespers ’63’66, Baseball ’64-’66, Mu Alpha Theta ’64-’66, Jr. Play ’64-’65, F. C. A. ’64-’65, Sr. Play Comm. ’65-’66, Newspaper Staff ’64-’65. 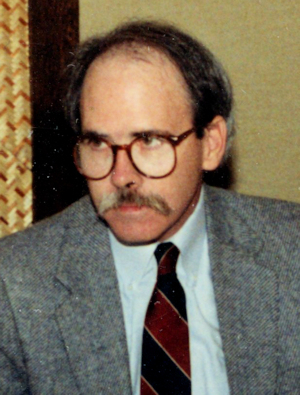 William Michael O’Loughlin, 65, died at North Richland Hills, Texas on December 1, 2013. 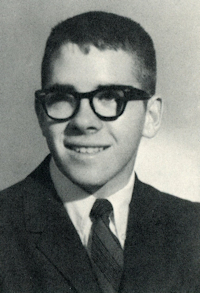 The son of Charles P. and Charlotte (Haulsee) O’Loughlin, he was born on November 25, 1948 in Seminole, Oklahoma. The O’Loughlin family moved to Perry when he was a young child and Bill attended Perry schools graduating in 1966. After graduation he attended Oklahoma State University. In December, 1970 he was drafted into the Army, holding the distinction of being the last draftee from Noble County. He served in the military for two years. Bill and Kathleen Harrington were married June 25, 1971 in Stillwater, Oklahoma. Over the years he had several jobs and owned his own business, Data Rent, which rented computers to companies. His last job before retirement was with Sprint. He was a member of Phi Kappa Theta, U. S. Jaycees, and served on the Sedgwick, Kansas City Council for several years. As a lover of baseball, especially the St. Louis Cardinals, he umpired everything from T-ball to Babe Ruth. It was Bill’s desire to donate his body to the University of Texas Southwestern Medical Center in Dallas for research. Memorial services for William “Bill” O’Loughlin were held at 2:00 pm on Saturday, January 18, 2014 at the Strode Funeral Home Chapel in Stillwater, Oklahoma. Deacon Tom Hahn officiated. Survivors include his wife, Kathleen, of the home; son, Thomas O’Loughlin, and daughter, Beth Ellenwood, both of North Richland Hills, TX; and two granddaughters, Jennie and Katie. He was preceded in death by his parents and one brother, Charles “Pat” O’Loughlin.